What is Sourcing Helper ? 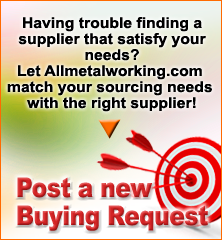 Sourcing helper is a brand new service on Allmetalworking.com where we match buyers' sourcing requirements with the right suppliers. 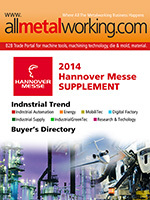 Buyers must be registered Allmetalworking.com.com Members and have posted a clear and detailed Request for Inquiry Form. · Suppliers are matched based on Buyer's requirement, such as specifications, product/service quality, quantity, etc. How does Sourcing Helper work? Many buyers are already benefiting from Sourcing helper. You could be next.